Getting your staff and prospective customers to try your product or service has always been the most effect way to promote it. Instead of trying to bring them all together in your facility, take your facility on the road directly to them! 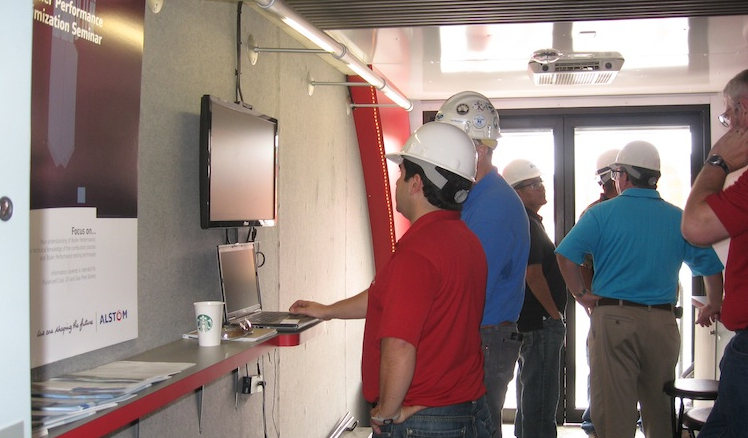 EventPro will help you enhance and grow your training and demonstration programs with flexible, cost-effective, and well-managed mobile training tour vehicles. Saving money means saving time. So, maximize them both by taking your training program directly to your target market. EventPro designs and develops customized branded vehicles to provide comfortable learning environments. Mobile training vehicles range in size from 10-foot trailers that can be pulled by a pick-up or SUV to self-propelled units on a commercial truck or RV chassis to full-size semi-trailers with expandable sides. Go on mobile tour with your product demonstrations! Deliver not only your training program, but the implied message of your commitment to making your audiences' lives easier when you bring the experience directly to them with a mobile demonstration unit from EventPro.